On our final show for 2014 we review why we started this podcast, and hear advice from some of our most popular guests. My business partner, Ted Michalos talked about how 11 percent of Canadians are going to experience insolvency in their life. His concern is that people don’t like to talk about their financial problems and that is part of the problem. We don’t talk to people about how much we save, how much we spend .. No one wants to tell you what their financial position really is. Instead we see what people have — so we end up trying to keep up with the Jones’ when in reality the Jones’ are deep in debt. We also talked this year with Dr. Lee Ann Davies, an expert on money and aging. Dr. Davies is concerned about the lack of knowledge among seniors and how it affects their finances. Just because you’re older doesn’t mean you know everything there is to know about money, so you have to be extra careful when making financial decisions. We talked about how seniors need to be extra careful when it comes to financial scams and just as careful about co-signing debt or loaning money to their children. In our podcast with Gail Vaz-Oxlade she had one over-riding theme — you need to be in charge. Gail explained how the credit scoring system is for the benefit of lenders, not the borrowers and that a smart borrower doesn’t chase a high credit score just because. Don’t go out and get five credit cards because that’ll make your credit score better, get however many you need for yourself. Your decisions around debt should be based on what’s best for you, not what the bank wants. Back in November we did a series of podcasts around financial literacy to celebrate Financial Literacy Month. One of our guests was Ellen Roseman, columnist at the Toronto Star and author of several books on personal finance. Ellen’s take on financial literacy was that everyone has some form of bias and that there are a lot of ‘truths’ out there. Her advice, which I fully agree with, is that you need to be a skeptic and do your own research. There are too many people in the financial literacy education game who are biased and people have a lot of trust in the banks. That’s a short highlight of some of our Debt Free in 30 podcasts this past year. 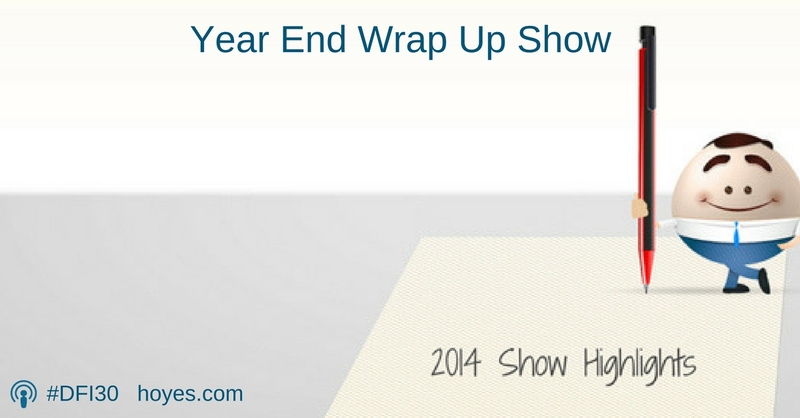 We look forward to bringing you more practical tips and advice from a variety of experts in 2015. 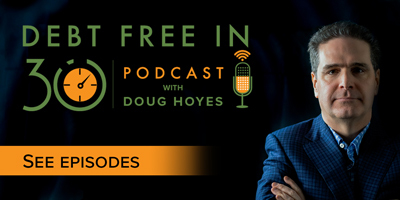 Doug Hoyes: Welcome to Debt Free in 30, where every week we talk to industry experts about debt, money and personal finance. I’m Doug Hoyes. This is our final show for 2014, and as the holiday season ends and we move into 2015 I thought it would be a great idea to take a look back at some of the topics we’ve discussed here on Debt Free in 30. Ted Michalos: What I’ve been told by people that have come to see us over the years, and we’re talking about thousands of people now, is that we’ve simply got a more humane approach to this whole experience that people are going through. Insolvency, financial distress, is not something pleasant. It’s not something you’d wish on your worst enemy but the reality is about 11 percent of all Canadians are going to experience this kind of trouble in their life and what we realized early on was that they weren’t being treated very well. Doug Hoyes: So when you say 11 percent of Canadians are going to experience this in their life, put that in numbers then. So I’m in a room and there’s a hundred people in there, more than 10 of them at some point are going to be in such financial difficulty that they’re going to have file a bankruptcy or consumer proposal. Ted Michalos: That’s correct. I mean, this year, we’re projecting about 125,000 Canadians are going to file either bankruptcy or proposal. It’s about an even split across the country. That is a phenomenal number when you think about it but this is not something anybody ever talks about. You’re not going to be sitting down at your barbecue or family party or a Christmas saying yeah, I filed bankruptcy this week. It’s just not a conversation you’re going to have but it’s a lot more common than anybody realizes. Doug Hoyes: That 125,000 number you state is less than what it was a few years ago during the height of the credit crisis and the great recession and the rest of it when it was over 150,000. Ted Michalos: That’s true, 2009, 2010 it was 140-150,000. So it’s gone in the right direction but we’re not really comparing apples to apples here. 2009, 2010 the world was in a financial crisis and it accelerated bankruptcy filings for people that were experiencing any kind of difficulty. Money just got really tight. We’re back now to what I think are, unfortunately, normal levels; 125,000 Canadians this year. I bet next year it’s 128,000 and that’s just a function of the way our economy drives. Doug Hoyes: Now you said people don’t like to talk about this. Why not? I mean, it’s just money. What’s the big deal? Why don’t we talk about it? Ted Michalos: Yeah, I’ve always found this strange. You can sit down with a stranger, say in a doctor’s meeting room or an emergency room and they’ll tell you everything that’s wrong with them. They’ll tell you what fungus is growing on what part of their body but if you ask them at all about their finances, they just clam right up. We don’t talk to people about how much we save, how much we spend; they can see some of it because of the things that we buy. They can tell what kind of car you’re driving. They can see how big your house is but they don’t know how you paid for it. That’s all that whole keeping up with the Jones’ thing people have talked about for years and years. No one wants to tell you what their financial position really is. I don’t know why. Doug Hoyes: I think Ted is right. We try to keep up with the Jones’s, and that leads to too much debt. Everyone can fall into the debt trap, but as we learned on our second show, seniors are particularly vulnerable to financial problems. Every two years my firm does what we call our “Joe Debtor” study, where we analyze the characteristics of people who go bankrupt. There is lots of data from the United States, but our study is one of the few that contains very detailed Canadian numbers, including detailed statistics about seniors and debt. Lee Anne Davies: Your study was really key in a lot of research I was doing. Prior to it, I had only looked at American data because the 2008 financial crisis really caused such a big change in the US that we had a lot of information about bankruptcies. Then I had a chance to look at Canadian data and yours was key in really delving deeper into what is going on with older Canadians. What it was was there was a lower understanding of interest compounding with elderly people and how credit cards really worked. They also found that elderly ranked themselves higher in terms of financial knowledge. So they had high self-confidence but they had lower skills. What was unclear in the study was were the skills lower because they hadn’t been exposed to a lot of these products in their younger ages, because credit wasn’t as pronounced back when they were younger, or was there actually a cognitive change taking place and there just wasn’t enough information in the study to understand that. But the key take away from this study is that somebody who is older is going to be much more vulnerable to making financial mistakes and to being exposed to scams and financial fraud. So a real message to anybody age 65 and over, you need to have extra precautions in place when you’re making financial decisions. Doug Hoyes: That was a clip from my conversation with Dr. Lee Anne Davies back on our second show, and I thought her points were quite interesting. Just because you’re older doesn’t mean you know everything there is to know about money, so you have to be extra careful when making financial decisions. You can listen to our second show to hear the full interview, but here’s one more interesting clip. Dr. Davies quoted a study that said that in 1999 the average person 65 years or older had a mortgage of just over $13,000. By 2012 that number had jumped to $46,000, and their total assets, including the value of their house, was only up about 2 percentage points during that same period. Lee Anne Davies: So what is going on here? Why do we have people who are older having mortgages that are larger than they used to be? My biggest fear in all of this is that it’s not necessarily that somebody older is going out and buying a more expensive house and having to take a mortgage. My biggest fear is that they are co-signing for their children or their grand-children and this is where we get into the idea of debt literacy and understanding the implications of co-signing for somebody. I really get when somebody wants to help a family member. We all want to make sure that people don’t have to struggle maybe as hard as we had to in years past and everybody has specific cultures in their family and values and so forth. I get that people want to help the younger generation but if you’re going to do that, please do not co-sign for somebody who is younger. You can gift to them, a gift, financial gift can be a great option because it doesn’t tie into them legally contractually through that co-signing. When I see this type of mortgage increase for an older person, I am very concerned. They have now become contractually linked to that younger generation by co-signing for them, helping them buy that first house and we know with the chances of marriage breakdown, or other problems rising, that older person is going to be accountable for that financial issue. At this point in their life when they don’t have many options for income stream, they could find themselves in severe financial problem and I think that’s part of the reason why you’re seeing this senior debtor start to grow as your largest growth area in your business. Doug Hoyes: So it’s not that they are naive, it’s that they are trying to help people. A lot of the problems come from co-signing for their adult children who perhaps have job issues, marital breakdown issues or whatever. They’re trying to help them out but in so doing, what they’re really doing is taking on a whole lot of debt for themselves. Lee Anne Davies: That’s one side of it definitely that they’re trying to help out. I’m going to take it on to the other side now. What we’re also seeing in the younger generation is a sense of entitlement that they can go ahead and ask their parents to help and expect that they’re going to get a yes from that. We didn’t see that in prior generations. There wasn’t the sense that you just turned to your parents as the bank of mom and dad and they would help you, basically reach a standard of living that the parents have. Kids expected to start lower and move their way up. Instead, with the sense of entitlement they’re turning to their parents and saying, hey, you know I want this great house, I want to put my kids in private school or I want to put my kids in these activities and I actually can’t do this financially but you can help me out because you’re actually not using that money. So we start to get this erosion of the seniors’ money, their financial status, because the younger generation is putting pressure on them and that’s a slippery slope. People need to be more aware of how these types of dynamics take place in a family because it’s putting that older generation at risk and again back to the point at a time where they cannot afford to take on that risk. Doug Hoyes: And that’s the key. We need to be more aware of how money impacts all generations in our family. Being more aware of the risks seniors face can help us manage those risks, and hopefully keep seniors from incurring too much debt. We’ve had a lot of well known authors on the show, including Dr. Davies. I was also pleased to welcome other great Canadian authors, including Gail Vaz-Oxlade and Ellen Roseman, and after the break we’ll hear from each of them. That’s coming up next on Debt Free in 30. Doug Hoyes: Welcome back to this special year end wrap up edition of Debt Free in 30. My guest on our most downloaded show was Gail Vaz-Oxlade, host of three popular TV shows, and author of 12 books. She had a great explanation for why she quit reality TV, so that show is worth a listen, and I was also quite interested in her take on credit scores. We all have this viewpoint that it’s very important to have a good credit score, but Gail doesn’t agree. Here’s why she says you shouldn’t obsess about your credit score. Gail Vaz-Oxlade: Well, first of all, the credit scoring system was initially created not as a credit adjudication system but as a measure of profitability as a marketing tool. So the reality is, when the credit score was created it was meant to measure how profitable you were as a customer. So, for example, if you only make your minimum payment every month and you carry a balance you’re a more profitable customer, so you score higher on the credit scoring system. Well, that’s in direct conflict with a healthy financial life. To have a healthy financial life you need to pay your balances off, not focus on the minimum payment. So in reality, there are a whole bunch of things the credit scoring system will measure you on that are actually bad for you. The credit scoring system wants you to have multiple sources of credit and it wants you to have high limits, and it wants you to use only a portion of those limits. Well, that portion of those limits thing is really to drive up your limits. And so it’s working against your best interests. So when I say to people don’t obsess about it, what I mean is don’t do everything you think you need to do in order to have the highest possible credit score, because in essence you will be shooting yourself in the foot if you do. Doug Hoyes: – and that’s it. And that’s a very interesting perspective on it, because people don’t grasp that credit scores are not there for the purpose of the consumer. Doug Hoyes: They’re there for the lender. Gail Vaz-Oxlade: It’s to measure profitability. And what’s really shocking, Doug, is how the credit score is being misused. Because once upon a time financial institutions used to make their lenders do the full five c’s of credit in terms of adjudicating credit. And now what’s happened is a credit score has taken such hold that credit card companies offer people credit cards based simply on their credit score, and lenders lend based on the credit score. Despite the fact they will tell you otherwise, they actually lend on the credit score. Doug Hoyes: So you would rather go back to the old days where human beings were involved? Where the banker actually meets with the person and decides whether they’re a good credit risk or not? Gail Vaz-Oxlade: Well, and they don’t just rely on the credit score. When the first credit scoring systems were used in Canada – because I was one of the people that trained lenders on how to use their own credit scoring system, not the credit scoring system that’s being used through Equifax. Okay? Or TransUnion, for example. When that system was in place it took a lot of the history of the customer into account when creating a credit score. But it was only one small part of the five c’s. Now it’s grown to such a magnitude that it overshadows things like character and capacity. Oh, my lord, Doug, capacity is overshadowed by your credit score. Doug Hoyes: What does capacity mean? Gail Vaz-Oxlade: Capacity is your ability to repay the loan. So because credit scoring gives so much weight to minimum payments, the ultimate payback of the loan in its totality is less important. And so capacity has gone… sidestepped for credit scores. Doug Hoyes: Wow. Credit scores are a way for the bank to determine how profitable a customer you will be. They have nothing to do with how good a person you are, or even whether or not you are financially savvy. When you see credit scores from that perspective it does make it easier to stop obsessing over your credit score, and instead focus on making the financial decisions that are right for you, like saving money, instead of getting more credit cards. 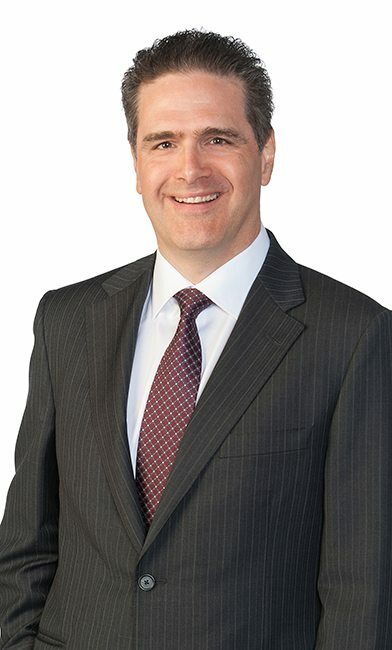 If you are a regular listener to this show you’ve heard that theme repeated often: banks are a business, and they are looking out for their shareholders, not for you. Ellen Roseman: Well I think that you made a good point, that there are too many people in the financial literacy education game who are biased and people have a lot of trust in the banks. The banks are fully biased, they support their shareholders over their consumer’s interests, they’re always trying to return more money to their shareholders and that means that a lot of their marketing is kind of gimmicky. I just got a report from someone who followed a bunch of low income Canadians around and they all have balance protection insurance on their credit cards. They don’t need it, it’s not a good product, it’s sold by banks very sneakily and it doesn’t even cover your balance, it just covers your minimum payment if you get sick or if you die. You know you got to realize that banks are not your friend. So everybody has a bias of some kind, you’re probably better off if you’re dealing with journalists who are full time employees of you know the media corporations because they’re usually not connected to any specific financial interest, but then you know they’re looking at the stuff that is trendy and hot and will score well on the internet. I like the personal finance bloggers, there’s quite a lot of them in Canada and they are just ordinary people who took an interest in their money and started writing about it and it’s not so much what they write, it’s the fact that the popular ones get many, many comments from other people and if you go through a couple hundred comments to somebody’s blog post from other interested citizens who have taken an interest in their money you start to get a sense of the truth and you get a sense of what to look for and what questions to ask. I was at a financial literacy conference yesterday and there was someone there who did a lot of research with Canadians about money and he said there’s a big difference between people under 50 and people over 50. The over 50 tend to trust much more and when they go for advice they will get a couple of recommendations and they will sign up right away and then they’ll put their trust in someone and they will keep that trust there until the very end, unless of course they run into problems. They trust the media as well and I get a lot of those people saying you know, “whatever you say that’s what I’m going to follow”. So that’s not the best approach. They said people under 50 are much more skeptical, they do realize that there’s no one truth, there’s many truths and they do a lot of searching on the internet before they even start looking for a financial advisor. So they’ll go to maybe five or ten or 15 different sites and check out what’s going on and what the articles are all about and what the comments are saying and then they’ll start looking. So they’re at least comparison shopping online, which doesn’t take all that long and can really equip you much more and make you less trusting because I think in today’s world you can’t be that trusting. The people who write to me get into trouble because they’re not that trusting and they don’t do their online research. The ones that really upset me are when they deal with companies that I know of that are just scoundrels and you know they lose their money, sometimes they can get a refund on their credit card, but they’ll write to me and they’ll say “Boy oh boy I wish I had checked your website”, because I’ve got a few of those on my website, or “I wish I’d gone online and seen that the Better Business Bureau gave them an F and then there’s an alert”. They do it afterward, they don’t do it ahead of time and there’s lots of information on the internet. So you have to always just try to avoid that speed and impulse to you know do it quickly, get it over with and do the research ahead of time instead of later and then realize how much warning there was on the internet that you didn’t pay attention to at the time. Doug Hoyes: To avoid financial trouble, do your research up front. That’s great advice from Ellen Roseman. I’ll be back after the break to wrap up the show. You’re listening to Debt Free in 30. Doug Hoyes: Welcome back. It’s time for the 30 second recap of what we discussed today. In our 2014 wrap up show we heard Ted Michalos explain the Hoyes Michalos philosophy, and then Gail Vaz-Oxlade and Ellen Roseman both made the same basic point about how we must manage our money. Their point is that we must take responsibility for our financial life. Credit scores are designed to help the bank, not to help you, and no-one selling you a product can give you completely unbiased advice, so it’s up to you to do your own research, and make your own decisions. That’s the 30 second recap of what we discussed today. What’s my take on taking responsibility for your financial decisions? That’s a no brainer. I completely agree, and that’s why this show exists: to provide free financial information, so you can use it to learn more, and make your own decisions. I want to close the show by thanking you for listening to Debt Free in 30. Whether this is the first time you’ve stumbled across our show, or if you’ve downloaded every one of our podcasts, thanks for listening. This show is available for download on iTunes and most other podcasting services, so if you liked what you heard today, please subscribe and get the show automatically every week, for free. I’ve got lots of great guests lined up for 2015. We’ll start the year next week by hearing from some old friends, and then we’ll spend the month of January hearing from some industry insiders. Have you ever wanted to hear about debt collectors from an actual collection agent? Do you want to learn more about how credit reports work? Stay tuned in 2015 for all that and more. Thanks for listening in 2014, see you in 2015.